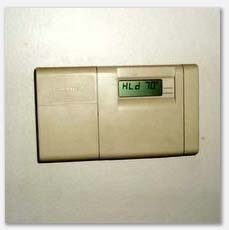 We test all thermostats, and all heating and cooling systems. We check for function, filters, and estimate the age and life expectancy of the unit. We check for evidence of rust and corrosion. These can indicate conditions that can result in harmful release of deadly carbon monoxide gasses. As furnaces approach the end of their lifespan we recommend annual checks by a Certified Furnace professional.